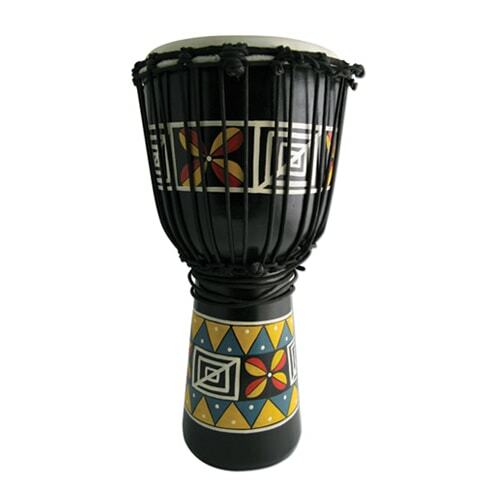 This is a good sized Djembe, 50cm high and 24cm dia head. The entry series has everything that a beginner could require. 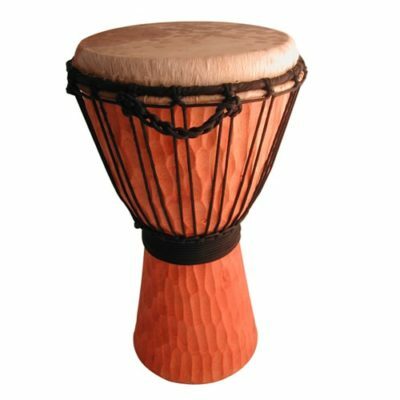 Tough enough for schools and inexperienced drum students. Natural skin. Easy to tune and not too heavy to handle. 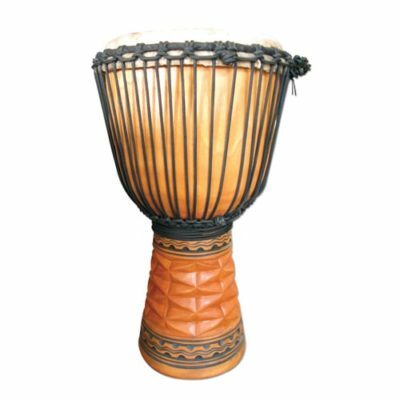 Yet made in the finest drum factory in Asia for guaranteed good quality. 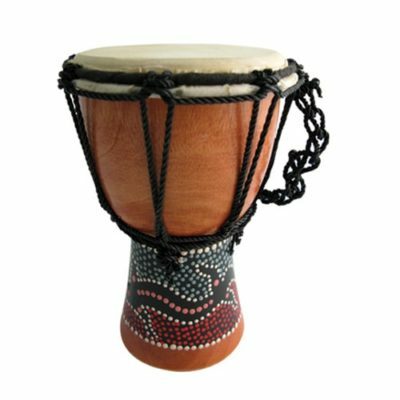 Painted in African colours and styles this drum will become a treasured possession. Designs will vary.